Home / LA to Vegas limo / LAX Sedan Service / Los Angeles to Las Vegas limousine / Malibu party bus / Santa Barbara wine tours / Limos to Sin City Anyone? Limos to Sin City Anyone? 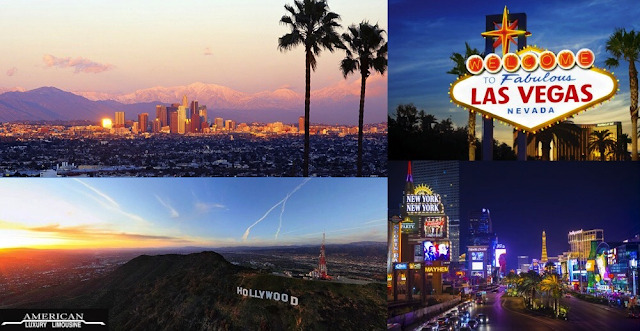 While L.A. attracts so many visitors, there are so many other cities one can visit while in the Southern California area. While many love hanging out at the great beaches, or go on one of the many Santa Barbara wine tours nearby, the favorite among many of our clients are a side trip to Sin City, Nevada. 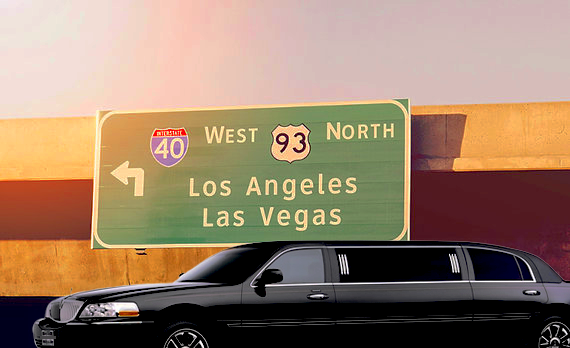 So many of our calls are asking about pricing of Los Angeles to Las Vegas limousine services. There are actually so many possibilities when booking transportation to Vegas. Most companies charge an hourly rate so a trip can be quite costly if they charge for the return trip or time in traffic. American Luxury Limousines only charges a flat transfer rate which keeps the price low. Other costs that will fluctuate the price will be the number of passengers and the type of vehicle you select. Let’s take into consideration the time factor. The drive is only about 5 hours, depending time of day and traffic. If you live in the greater Los Angeles area, just getting to the airport could take one hour and then flight check in and security will waste another hour in the very least. On top of that you have the cost of leaving your vehicle in a paid parking lot and the high price of plane tickets. By the time you arrive in Nevada you have already spent 3-4 hours getting there and a costly credit card bill. You will find a ride to be comparable in travel time and much less expensive when divided by the number of passengers. You will arrive in comfort and style, and the party already started when you were picked up in L.A. Sit back and let out professional driver handle the road while you and your guests stretch out and enjoy the ride and the complimentary bar! We also offer price-match-guarantees on all travels, including LA to Vegas limo trips as well as LAX sedan service from anywhere in SoCal. On a one-way trip your price will be one flat rate depending on the car of your choice. For a 10 passenger stretch limousine, your flat rate would be $899! That’s only $90 a person!! This includes a extremely comfortable ride, a complimentary bar, and complete privacy for you and your friends to visit and enjoy the ride. One major factor in the cost per-person is the size of the vehicle. A larger Malibu party bus may be more costly, but when divided by more people can actually be a much cheaper way to travel. Obviously there is a difference in price between the use of a three person sedan and a fifty passenger party bus. If it is just two or three passengers, the least expensive would be to book our sedan service, featuring Cadillac or Lincoln Town Car sedans. We offer these services from most SoCal locations to and from Nevada. If you’re interested in something a bit more fun than your average sedan, we have many options for you. If a luxury sedan doesn’t provide you with enough room, we also offer executive SUV’s. These vehicles can accommodate up to six passengers and more luggage. For larger groups, up to fifty passengers, your best choice would be one of our stretched vehicles, a party bus, or a charter bus. For a traditionalist, we have a large fleet of stretch limousines, offering a safe ride with plenty of comfort and legroom. 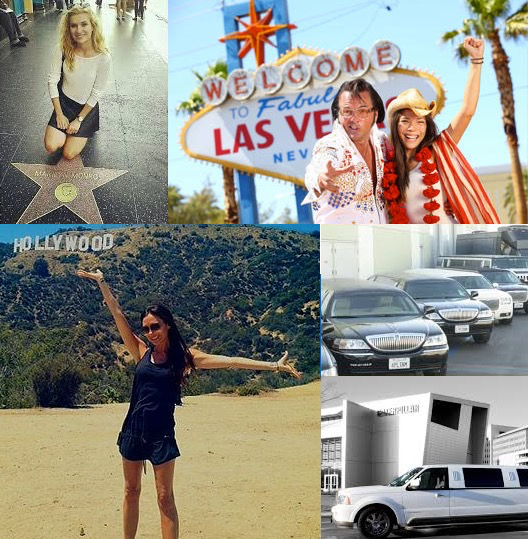 When it comes to the stretch limos we have a variety of choices for you. Our standard Lincoln stretch limos hold a maximum of eight people, with some of our super stretched SUV's holding as many as eighteen people. 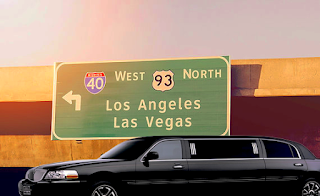 American Luxury Limousines have a pioneer in the emerging Los Angeles to Las Vegas limousine market. We are rated number one in Southern California with our exclusive fleet of stretch limousines, sedans, SUV’s, and brand new Malibu party bus offers. These custom transportation creations have much more in common with a private jet on the inside than a normal passenger vehicle. With extra headroom and spacious interiors to enjoy during your trip, you won’t arrive cramped and annoyed waiting in baggage claim for your luggage. Our passengers will be cradled in comfortable seating, enjoying a movie on the TV, music on the stereo, or a cold beverage from the complimentary bar. If you still would prefer the airline, we also offer the top rated LAX sedan service in the Greater L.A. Area. We concentrate on this very exclusive segment of the transportation market and we pride ourselves on providing the best customer service to our clients. For passengers looking for cheaper prices, there are several alternative transportation/bus shuttle companies in the Greater L.A.- and SoCal area. However, if you are looking for VIP treatment, style, and comfort, call us at (805) 494-8353 and get your no-obligation quote today! Besides limousines and airport transfers, we are also proud of our award-winning Santa Barbara wine tours to regions such as the Santa Ynez- and Santa Maria Valleys, as well as the gorgeous Malibu Canyons. 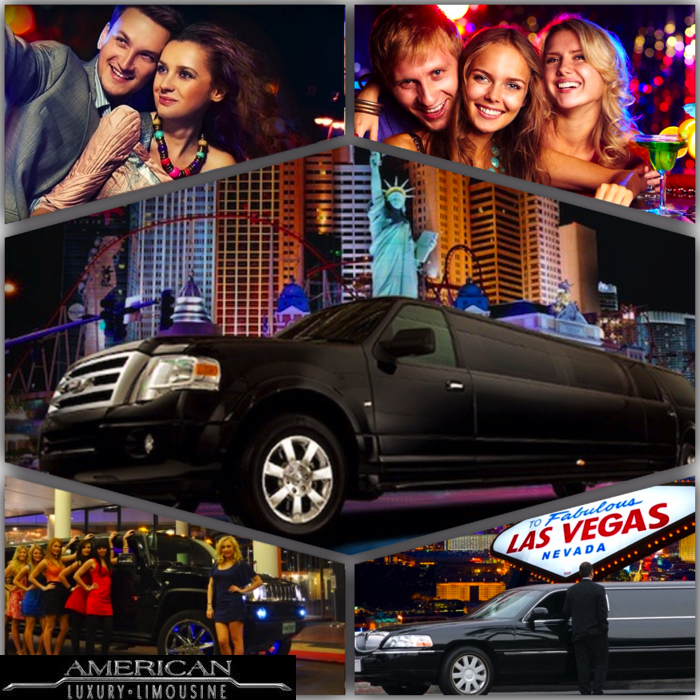 We at Party Tours strive to provide you affordable and quality Party Limo, Party Bus Tours/Crawl, and Party Busses in Las Vegas to execute your party plan in a unique way.